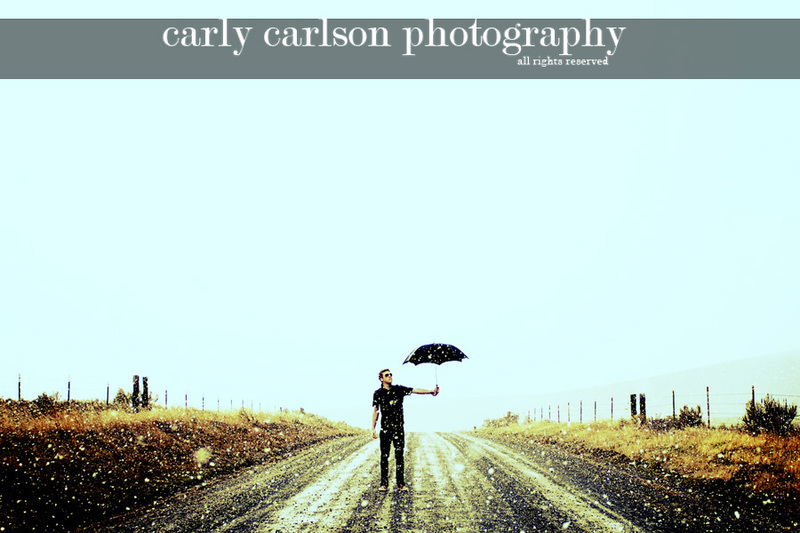 To Prospective Clients: I am updating all the galleries in my portfolio over at carlycarlson.com. You can still access the calendar, the rates and info page, etc. I'll try to make this a super-speedy update so things will be back to normal as soon as possible. Hopefully the blog will serve as a portfolio of sorts for the time being! And now, another shot of my brother. So here's the story. I know these umbrella photos are kind of weird. But I have had this vision in my head for a long time of someone in a rain storm or a snow storm, with this huge umbrella, holding it out at arms length, instead of over themselves. It means something to me but I'm not about to explain it (do I really have to?? haha). Maybe it'll mean something to you, too! Or, maybe, it's just goofy and that's good enough. It was snowing extremely hard and Dylan (my baby brother) got hypothermia, pneumonia, a bad case of the sniffles, and is still recovering. Amazing....love this shot...love it, love it, love it. What a great bro for sacrificing himself. My fav!!!! This is shot is worth the pain! this picture is amazing. definitely worth getting sick for! p.s. insta proofs is so rad! i will have to look more at it. LOVE your eye! It is a very cool shot! I just started using instaproofs as well, and so far I am satisfied! That look so awesome! you amaze me. I lost a foot, but it was worth it. i really really love this shot. it speaks to me. it says "haines has soul"
Dylan is so retro-cool. You rock Carly!